You are here \ South Africa Weddings \ Tie The Knot \ Wedding Services \ What Does Your Diamond Say About You? Picking out an engagement ring is no small thing. This is something that will be worn daily for what will hopefully turn out to be a very long time, so it stands to reason that a bit of thought should be put into it. If you’re kind of sentimental and you like to know the meaning behind things, then you will be happy to know that when it comes to diamonds, different cuts have different meanings too. When it comes to engagement rings, round cut diamonds are the most popular. The round shape is meant to mirror the ring itself and represent love without end. Women who prefer round cut diamonds are said to be romantic, faithful, honest and even-tempered. 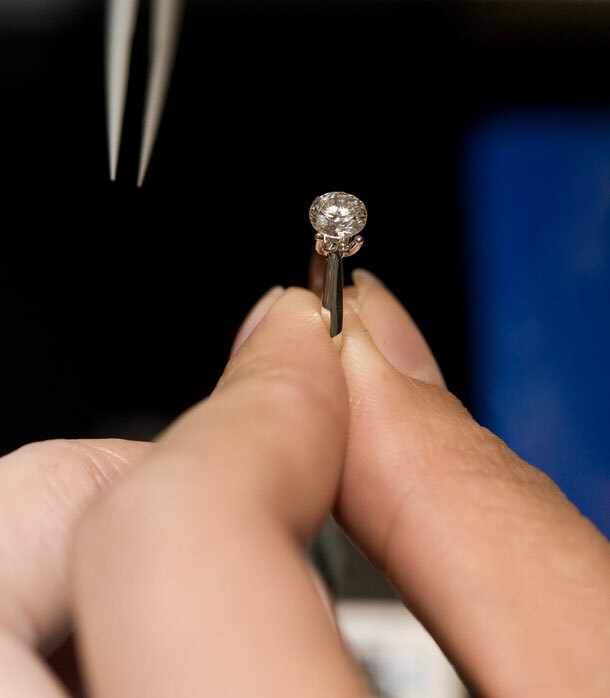 Oval cut diamonds are best worn by women who thrive on creativity and individuality. This type of cut reflects a stable and faithful partner and it also represents fertility and the desire to bear children. Princess cut diamonds are flashy and radiant. This cut is square in shape and said to be well suited to women who love attention, are outgoing and decisive. Similar to princess cut diamonds, cushion cut diamonds are square in shape but with rounded edges. Buy this particular cut for a woman who is passionate and energetic. It is said that women who prefer cushion cut diamonds are likely to put great effort into all their relationships. Asscher cut diamonds are also square shaped but with straight cut corners. This cut is appealing to anyone who prefers a vintage style. Asscher cut diamonds signify a flair for the dramatic. Women who are confident enough in themselves to not need the approval of others tend to lean towards emerald cut diamonds. This cut represents strength and elegance as well as an open heart and mind. A marquise cut diamond is an elongated diamond that is cut in a way that specifically makes it look bigger than it is. This cut is said to appeal most to superficial women who care about status and extravagance. A pear cut diamond is shaped like a tear and is considered to be a romantic cut. This shape is favoured by women with gentle and sensitive souls and who have high standards when it comes to human behaviour. Heart-shaped diamonds are also considered to be very romantic and they represent sentiment and a love for fantasy. This shape suits women who love adventure and tend to be joyful and positive.